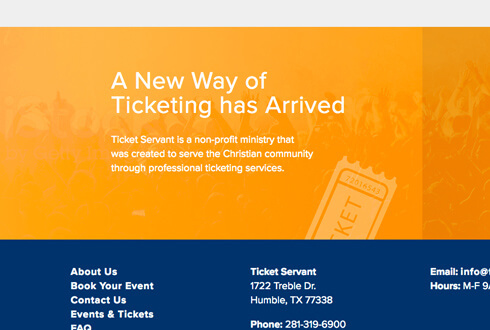 Ticket Servant, a nonprofit organization, is an outreach of the ministry of KSBJ in Houston, Texas. 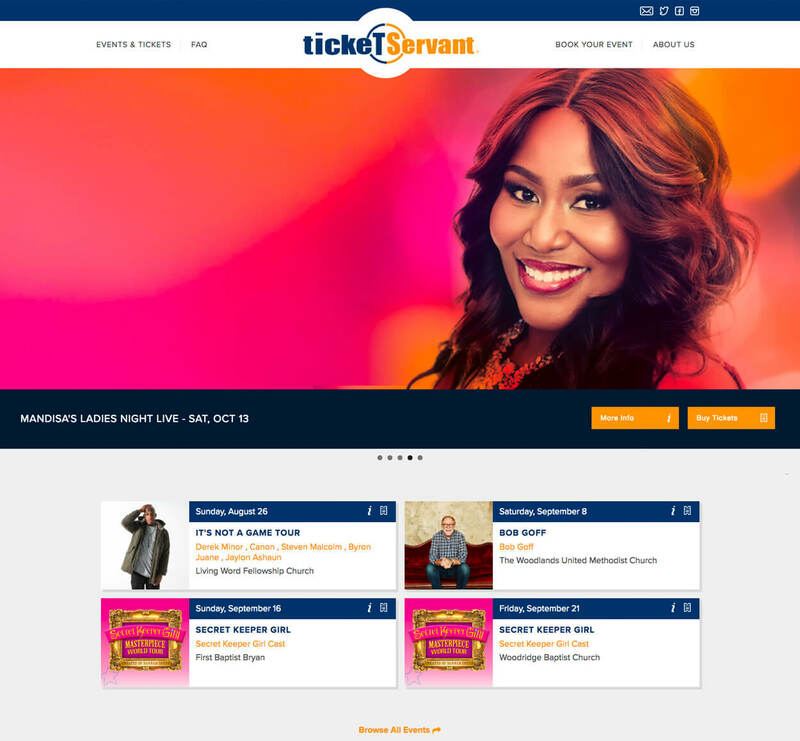 Formed in 1999, Ticket Servant was created to provide exceptional ticketing services to other nonprofit entities by providing ticketing services at cost. 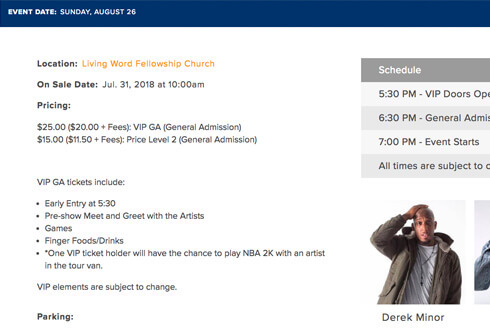 The site features events with scheduling, automated publishing, pre-sale management, as well as artist and location databases, and an easy to manage interface built on Drupal 8.